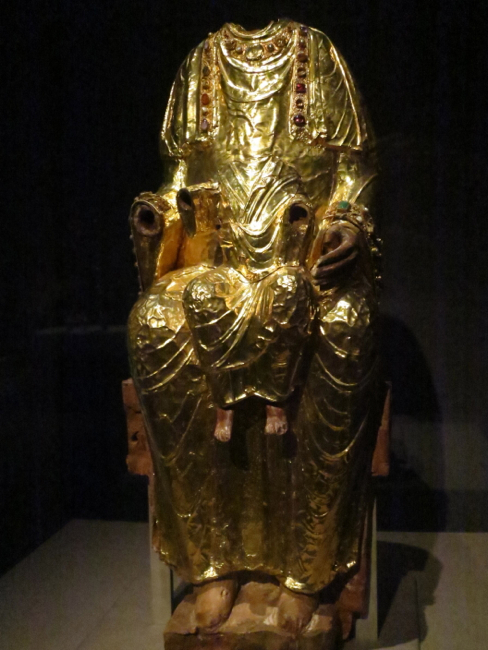 The ancient Christian empire seems to be gaining more and more attention – despite recent denunciations by Team Francis. 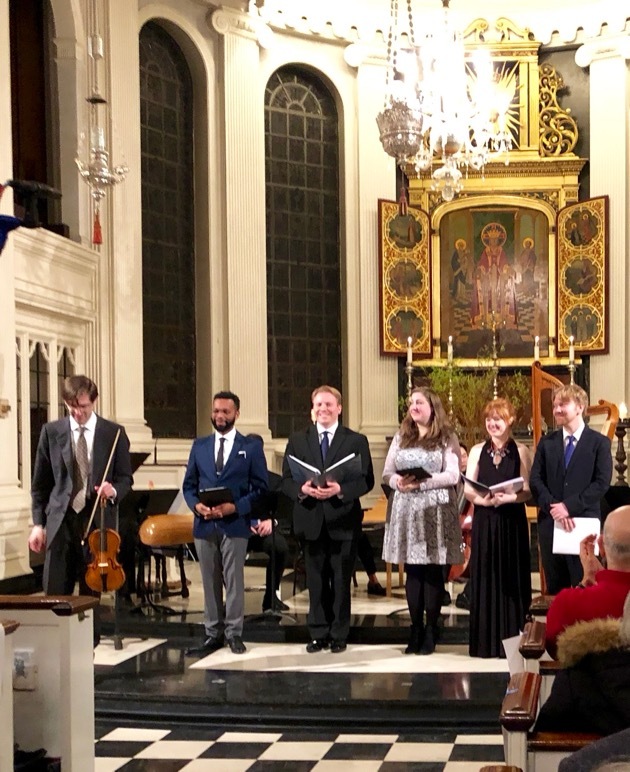 Two weeks ago we had the pleasure of hearing a 17th century Holy Week oratorio by Johann Heinrich Schmelzer, written in 1678 for Emperor Leopold I. Just this last Saturday we attended the performance of a second short oratorio by Antonio Draghi, also first performed in Vienna in 1668. Giuditta (Judith) was composed for the chapel of the dowager empress Eleanora, widow of Emperor Ferdinand III (1637-57). 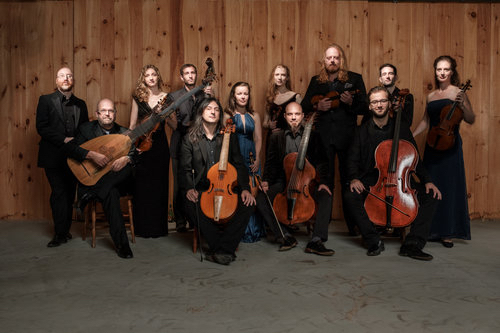 The oratorio was performed by the “Academy of Sacred Drama” which has as its aim the exploration of the “forgotten cultural treasures of sacred dramatic music.” Amazing that such groups have arisen here in the City! The venue was Corpus Christi Church near Columbia. Although only ten years separates the composition of the two oratorios, they are quite different. Giuditta is shorter and has a more operatic text. Judith Malafronte gave a scholarly introduction to the piece. The evening concluded with two beautiful works: the Laurentian Litany by Francesco Durante and a Stabat Mater by Antonio Draghi. Last Friday evening, in the midst of a fierce early March storm, I attended a rare musical event at the church of St. Luke in the Fields in the Village. 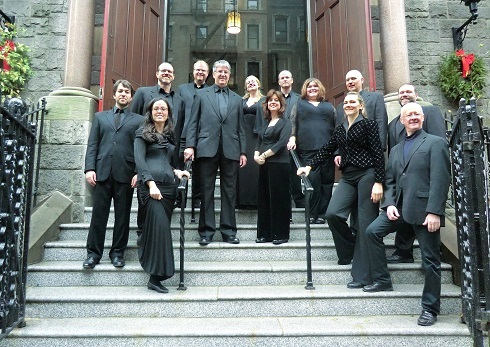 The vocalists of TENET together with the instrumental performers of ACRONYM presented Le Memorie Dolorose, a sepolcro, or kind of oratorio for Holy Week. 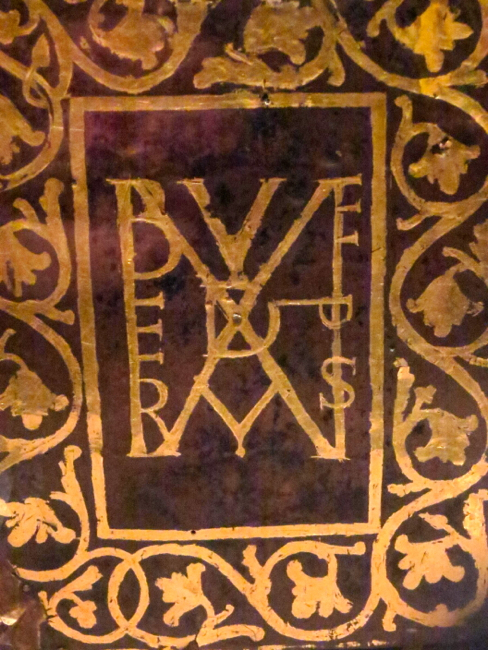 It would have been first presented in the imperial chapel in Vienna. In fact, Johann Heinrich Schmelzer, the composer, was required to write one or two new sepolcri every year (there were Thursday and Friday pieces). After their initial performance, they remained unpublished and unperformed until the 1970’s. It was an outstanding performance. The work is not at all an eclectic jumble but has a clear form leading to a dramatic climax in which all musical forces participated. These were significant because, despite the modest length of this work, eleven singers are required. The performances were uniformly outstanding. Originally the sepolcro was semi-staged; this performance tried to duplicate this by the solemn procession-like entrances of the singers. The Italian libretto by Nicolo Minato is quite sophisticated theologically and poetically. At times it seems almost reminiscent of the eastern liturgy in its dramatic juxtapositions of the divine and the human. The text serves to further integrate the succession of recitatives and arias which make up this work. An extremely informative lecture preceded the performance. Prof. Robert L Kendrick of the University of Chicago explained the genre and the libretto and situated Le Memorie Dolorose in its place and time – Vienna of the 1670’s, in the reign of Leopold I. 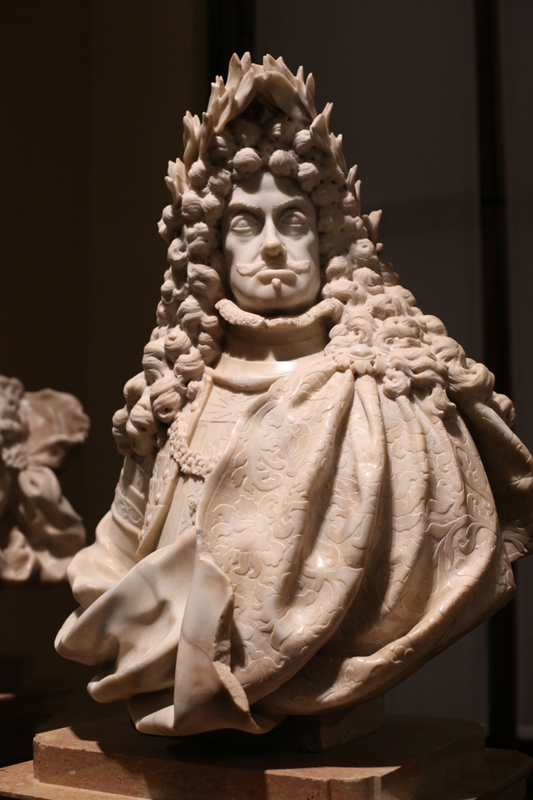 (Above) Ivory image of Emperor Leopold I in the Kunsthistorisches Museum, Vienna. Contemporary artists in all media seemed to delight in exaggerating Leopold’s not very attractive features. Leopold I (reigned 1658-1705) is one of the most underrated rulers in history, the victim of the utterly dishonest writings of French, German (Prussian), Czech, Hungarian and Polish nationalist historians. Extremely well educated (he had been initially destined for an ecclesiastical career) he became ruler of the Holy Roman Empire of the German Nation at its nadir after the Thirty Years War. His entire reign was an exhausting struggle against external and internal foes. At the end he succeeded. It was primarily his forces, not those of Poland, which defeated the Turks in 1683 at Vienna. The forces of the Empire then recovered Hungary from the Ottomans between 1683 and 1699. 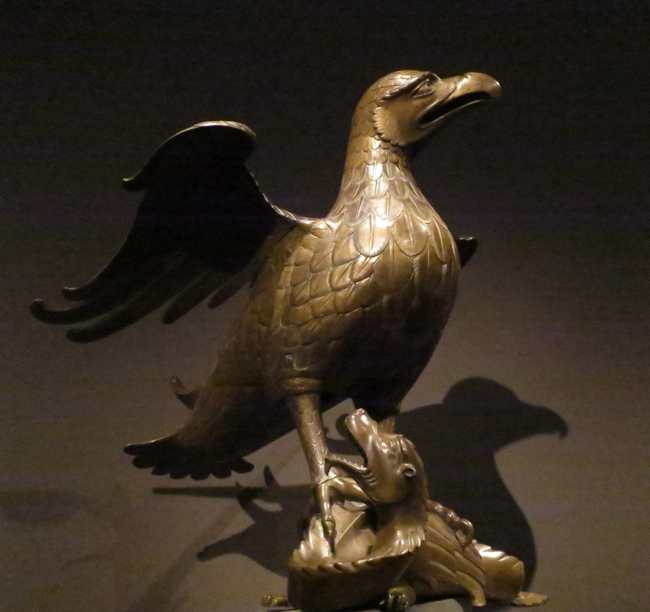 France, in the ascendant under Louis XIV, proved a more formidable foe. Yet here too Leopold lived to experience the crushing defeat of the French at Blenheim in 1704. in the north, the elector of Brandenburg, now allied with Leopold, threw back the Swedes. And beyond just conducting seemingly endless wars, Leopold introduced significant improvements in administration – both of his own lands and of the greater Empire itself. The Holy Roman Empire, seemingly moribund in 1658, had acquired a new vitality and prestige under Leopold. But Leopold’s main claim to fame is cultural. 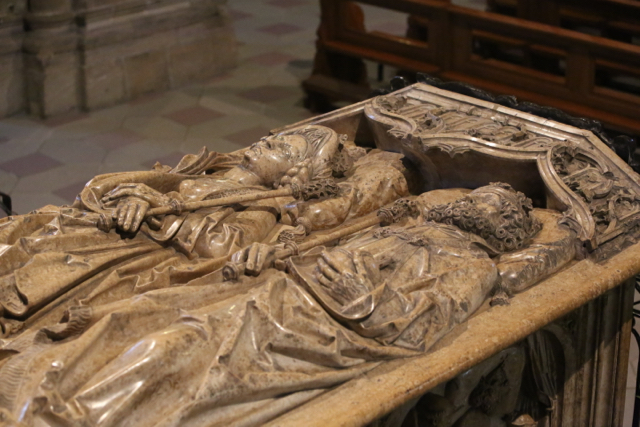 Completely devoted to Catholicism, he consolidated the Church throughout his domains. He cultivated strong cultural links with Italy – this performance is evidence of that. In so doing he ushered in the age of the baroque in the German lands. After 1683 there was a veritable renaissance of art and music. 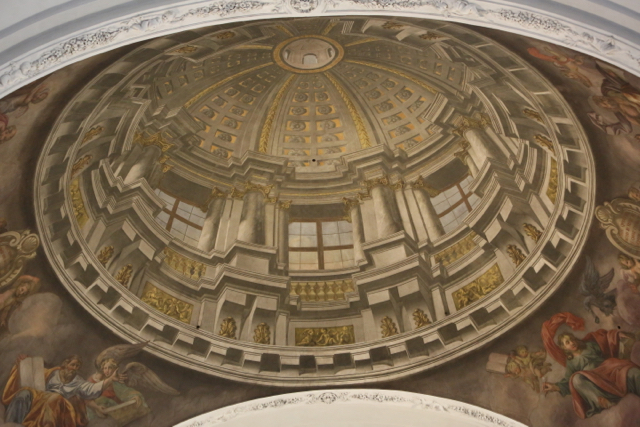 Starting in the Habsburg lands, in Prague and Vienna, baroque architecture, sculpture and painting spread to the other principalities of the Empire: Salzburg, Dresden, Fulda, Passau and Bamberg. Leopold was personally a great enthusiast of music and a composer in his own right. In Leopold’s own Hapsburg domains alone, musicians like Schmelzer, Biber and Fux were active. As for literature, in Silesia, then one of the Austrian territories, there was a long line of baroque poets, including one genius: Angelus Silesius. Leopold’s reign was the start of a glorious revival of art and culture that lasted into the succeeding classical and romantic ages. Regretfully, we must pass from the past to the present day. The lecturer felt it necessary to “utterly dissociate” himself from parts of the text that feature “anti-Jewish outcry.” I myself was unable discover anything in that regard in Minato’s text beyond what is contained in the gospels; presumably our speaker would have to qualify a performance of one of Bach’s Passions in the same way. After these remarks, he noted how important it is to make such statements when “hate” is taking over Washington and “countries like Poland and Hungary.” I would note that the speaker, who shows such sensitivity to the alleged anti-Semitic nuances of a 17th century libretto himself feels free to disparage whole peoples of today. And I ask myself; doesn’t he know that the world media are accusing Poland and Hungary of the crime of seeking to restrain immigration – of the same “migrants” and “refuges” who are making life increasingly miserable for the Jewish populations of the UK and France? It reminds me very much of my experiences long ago in East Germany, where every presentation on every conceivable topic had to include a ritualistic reference to the controlling ideology. But enough of such thoughts! It was a wonderful evening. And I hear this work is being recorded by Friday night’s performers. I would highly recommend acquiring it when it appears! 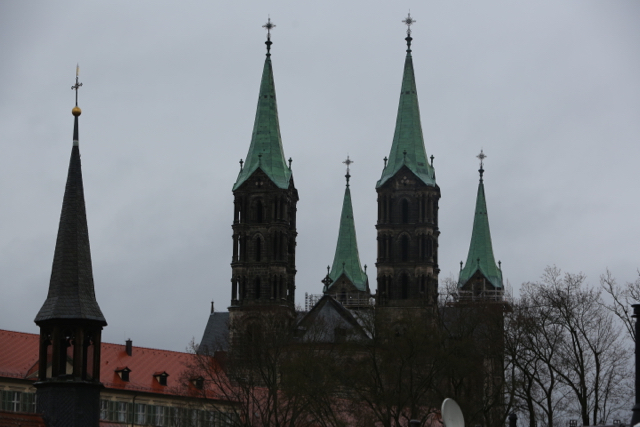 (Above) The towers of the cathedral of Bamberg (early 13th century) seen on a dark winter day. We have heard, endlessly repeated over the decades, that the Traditional mass constitutes a barrier to those “outside”: the young, those not practicing their faith and non-Catholics. It is supposed to lock these devoted to it in an inaccessible “ghetto.” Is this true? A now obscure episode of German literary history enables us to test these claims – almost under laboratory conditions. In the summer of 1793, while the French revolution and its wars were ravaging Europe, the young law students Wilhelm Heinrich Wackenroder and his friend Ludwig Tieck set out on a series of journeys from the South German university town of Erlangen. They would have an epochal effect on German culture. They traveled through the wild, hilly uplands of Franconia – deep valleys, mysterious caverns, ruined castles and bizarre mountain formations – helping to ignite the Romantic enthusiasm for nature. They explored the winding streets and many medieval monuments of the ancient, almost fossilized but still intact city of Nuremberg, rediscovering the Middle Ages. In palaces, churches, monasteries and cities they studied paintings and sculptures, launching a cult both of the Italian Renaissance and of the age of Albrecht Dürer. 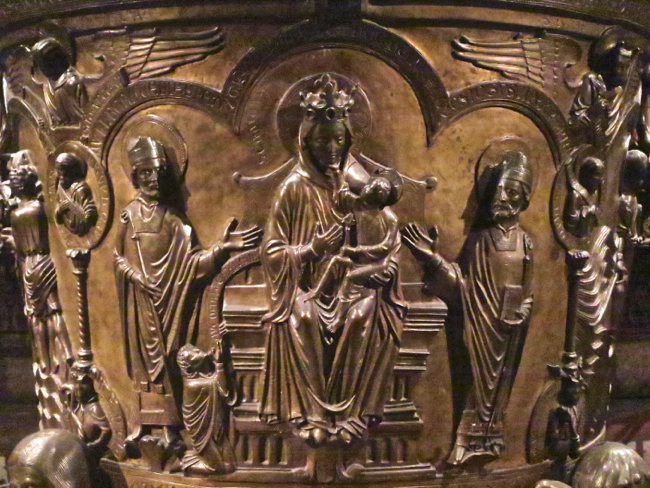 But what concerns us is another trip, this time by Wackenroder alone, to investigate not nature or the artifacts of the past, but the Catholic world of his own time. He undertook a journey to the nearby city of Bamberg. The character of the Bambergers, in general, is supposed to be ingenuous, dull, and superstitious – and involve frequent beer drinking. As in all Catholic countries, the numerous holy days invite laziness. The general Catholic national physiognomy is very striking and characteristic especially of the women. They are mostly small, anything but beautiful and have a snub nose. 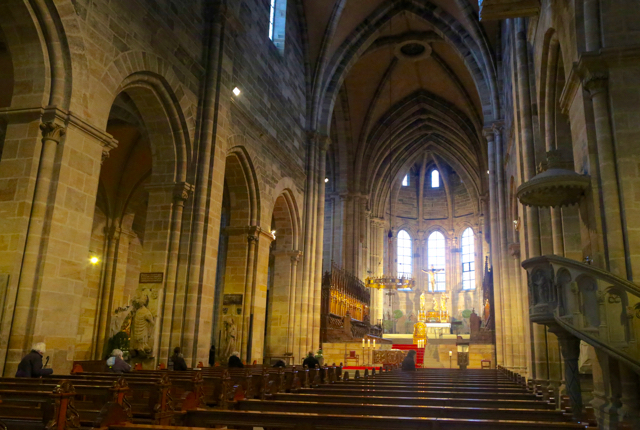 However, the Catholic Church that Wackenroder encountered in 1793 was not that of the desiccated services of the post-Pius X reforms, let alone the cold minimalist rituals we see Bamberg today, attended by only a handful of worshippers. No – it was the Catholic Church bathed in the last golden glow of the setting baroque sun. It was a world of processions, relics and devotions, of overflowing public and popular piety, of splendid masses accompanied by orchestras, gunfire salutes and trumpet blasts! Bamberg was at that time a separate principality of the Holy Roman Empire, ruled by a prince-bishop (an institution so characteristic of the old German Empire!). 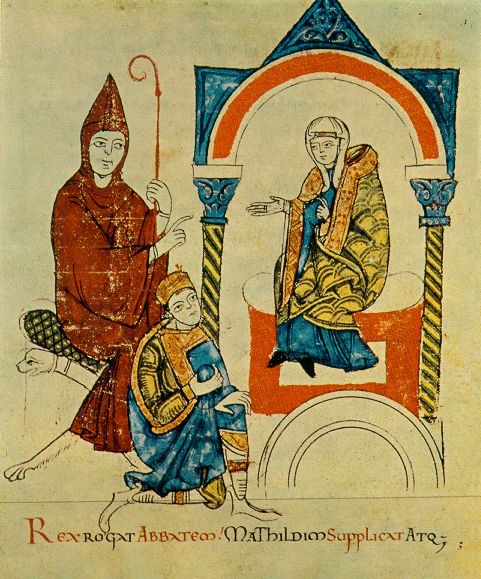 In Wackenroder’s day, “enlightened” bishops had recently taken steps to reduce the number of processions, to cut down on holydays and to restrain the popular enthusiasm. But much still remained! 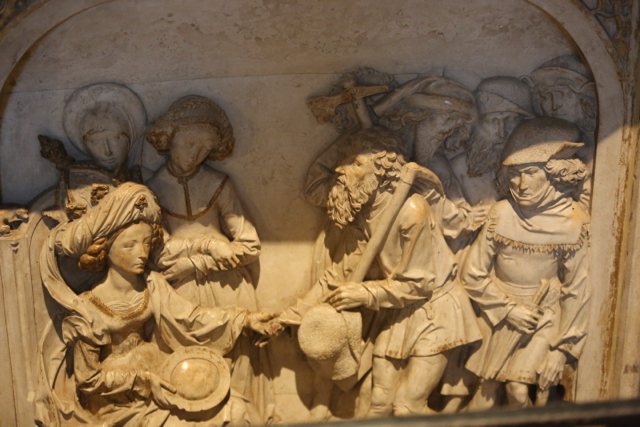 Inside, the cathedral contains an indescribable richness of old paintings, tombs and reliefs. One finds similar things in all Catholic churches but not always in such abundance….One can study these all the easier because all Catholic churches are usually open the entire day except in the afternoon; and one doesn’t disturb the few people who are praying at different times in the churches. (Above) The Cathedral still houses a multitude of priceless medieval artworks. But the lavish abundance of Wackenroder’s day is gone – largely because of the “purification” (the stripping of baroque art) in the 19th century. 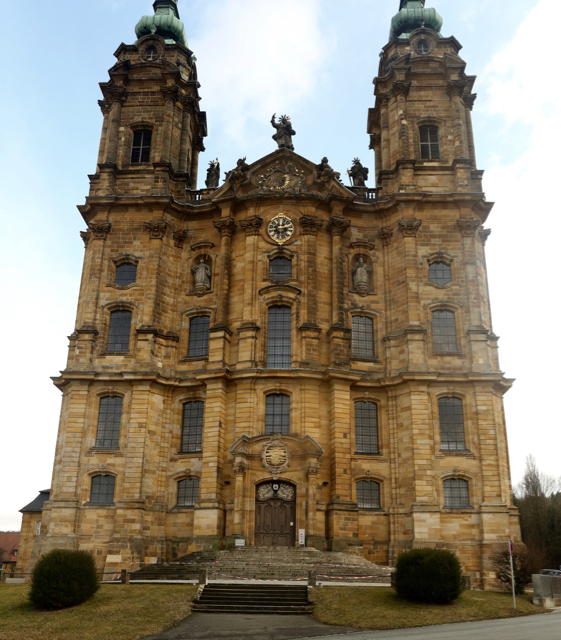 In this cathedral so curious and ancient for me, I attended with the greatest interest on the feast of Saint Henry (the patron saint of Bamberg- SC) High Mass that was held on Sunday from 9 to 10 after the preaching, and on every major feast…. In the streets, flowers were on sale everywhere, which everyone brought into the cathedral. Before the church a woman sat, selling rosaries and scapulars. I bought for myself a rosary for three Kreuzer and a scapular. As I entered the venerable church I found it already almost full. I pushed forward up to the main altar and waited now for the solemn scene. Oh! – truly I had not expected very much. Everything was new for me. The ceremonies, which every minute always changed, made an ever stronger and wonderful impression on me the more they were mysterious and unintelligible. I was standing among nothing but Catholics: men, women and children. Some were constantly reading prayer books; others prayed the rosary while standing, yet others reverently knelt right next to me. 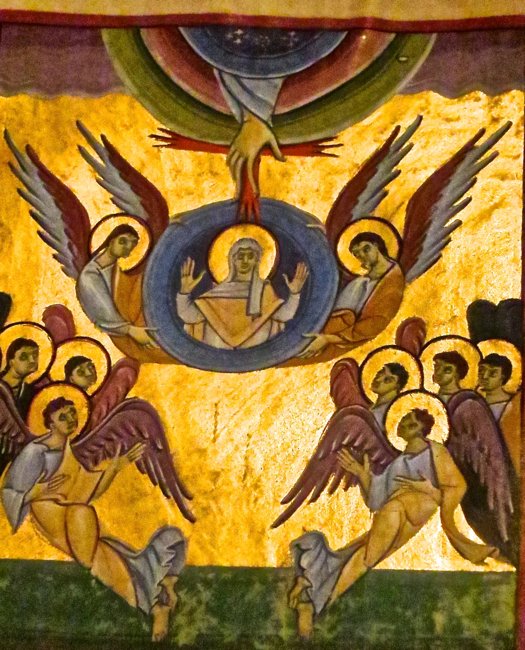 Here I found proved so clearly what Nicolai relates: that fixed raising of the gaze in prayer, which suddenly blazes up to heaven without resting on earthly objects; the making of the sign of the cross in holy zeal; the heartfelt firm striking of the breast which, with expressive glances towards heaven and with deeply felt sighs, shows such special depth of feeling. …One is totally initiated into the Catholic faith here and almost driven to participate in all the ceremonies. 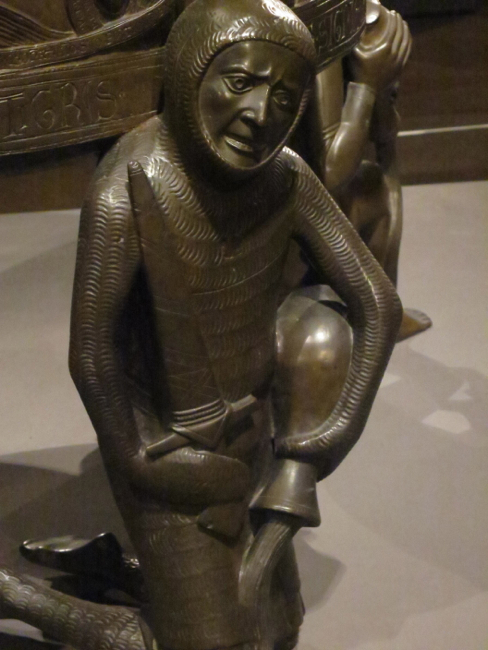 Now, accompanied by violins, etc, arias and choruses were sung in other parts of the church; now the Host on the altar was incensed with a silver thurible hanging from chains; now a cleric took the Host to the other end of the church and returned, always preceded by a soldier with his musket. For, right next to me on the high altar stood four soldiers. 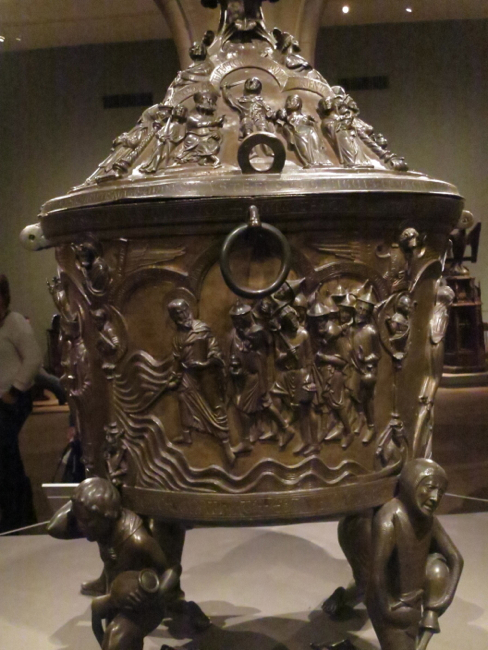 On the sides sat the canons in white choir robes and red collars; the cleric with the thurible also approached them, swung it upwards before them and incensed them – which impressed me greatly. 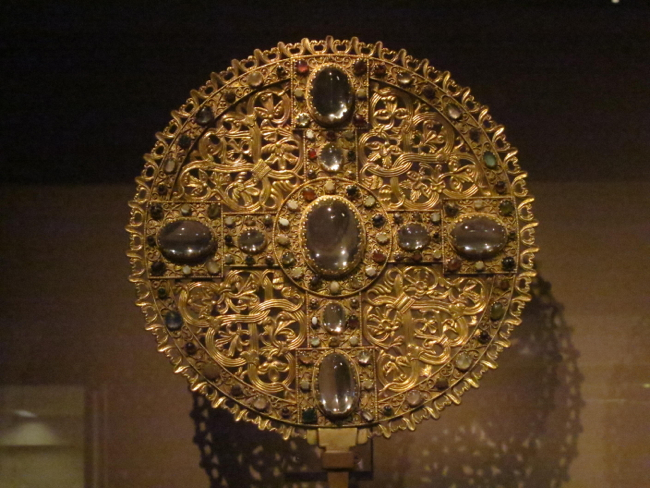 The most solemn moment, however, was when another cleric showed to the people the monstrance (a gleaming crystal case in which the Host resides). At this moment a bell was rung, the soldiers presented their arms, took off their hats and fell to their knees. The whole congregation fell down and crossed itself, blaring trumpets rang out, which were lost amid the long drawn out sounds of horns. I also fell to my knees, for otherwise I certainly would have exposed myself to the indignation of the people; moreover it would indeed have taken an effort to remain standing in isolation, for a whole world knelt down around me, and everything prompted me to the highest devotion – to do otherwise would have been as if I didn’t belong to the human race. A procession of Carmelites, Dominicans, Franciscans and Capuchins left the church. I saw some venerable and really ideal old men among them. The Catholics that I knew were not orthodox and themselves smiled over the peculiarities of their religion. 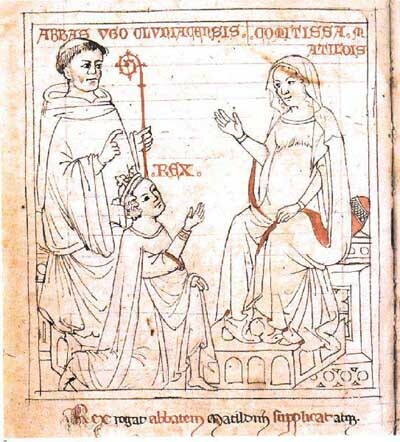 Wackenroder himself had to endure the company of one insufferable enlightened character who yearned to break out from Catholicism. 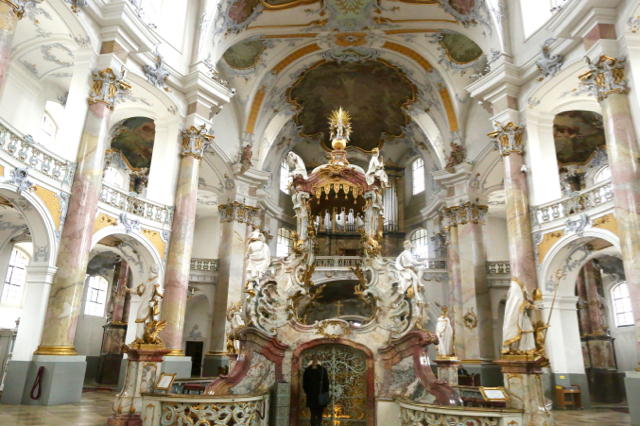 On a second journey to Bamberg, Wackenroder and companions wanted to experience the Benedictine life in the nearby monastery of Banz. To their distress, they quickly found that, in that stronghold of the Catholic enlightenment, the traditions of medieval hospitality had vanished…. I went recently into the rotunda (the Pantheon – SC) for it was a great festival and a splendid Latin music was going to be performed – but really above all to see my beloved again among the praying crowd and to hover in the presence of her celestial devotion. The splendid temple, the huge mass of the people that again and again pressed in and surrounded me ever closer, and the dazzling preparations – all this induced in my soul a wonderful attentiveness. I was most solemnly disposed. Even if I wasn’t thinking clearly and lucidly, as usually happens in such a tumult, my very soul was stirred as if something very special was about to happen within me. At once everything grew quieter. Above us began the all-powerful music – slowly, fully, expansively – as if there blew an invisible wind above our heads. Like the sea it surged forth in ever-greater waves, and its sounds drew my soul completely outside of my body. My heart pounded, and I felt a mighty yearning for something great and sublime that I could embrace. The full Latin chant that, rising and falling, forced its way through the tones of the music like ships sailing through the waves of the sea, raised my soul ever higher. And, while the music pervaded my entire being and ran through all my veins, I, who had been sunk in thought, raised my eyes and looked about me. The entire temple appeared alive before my eyes – the music had intoxicated me so! At that moment the music stopped, a priest advanced before the high altar, raised the host with an enthusiastic gesture and showed it to all. Everybody fell on his knees, trumpets blared out indescribable, all-powerful sounds and solemn prayers resounded everywhere. All those pressed tightly around me fell to their knees. A secret miraculous power drew me too to the floor, and I couldn’t have resisted with all my might. And now, as I knelt with bowed head, and my heart soared within my breast, an unknown power lifted again my gaze. I looked around me, and it seemed clearly as if all the Catholics, men and women, who, kneeling, now meditated, now gazed up to heaven, crossed themselves reverently, struck their breast and moved their praying lips – as if all were praying to the Father in heaven for the salvation of my soul, as if all the hundreds around me prayed for a lost one in their midst and drew me over to their faith in silent worship but with irresistible force. Then I glanced to the side at Maria, and I saw a great holy tears spring from her blue eyes. I didn’t know what was happening within me, I couldn’t stand her gaze any more, I turned my head sideways, my eyes fell upon an altar, and a painting of Christ on the cross looked at me with indescribable melancholy. The mighty columns of the temple rose, worthy of reverence, before my eyes like saints and apostles, and looked down on me with their capitals full of dignity. The endless vault of the dome bowed down like the all-embracing heaven over me, and blessed my pious resolutions. I could not leave the temple after the end of the celebration, I fell down in a corner and wept, and then passed with a contrite heart all the saints, all the paintings – it seemed that only now could I really contemplate and revere them. I could not resist the force within me – dear Sebastian, I have now crossed over to your faith, and my heart feels happy and light. It was art that had all-powerfully drawn me over, and I can say that only now can I understand and grasp art. 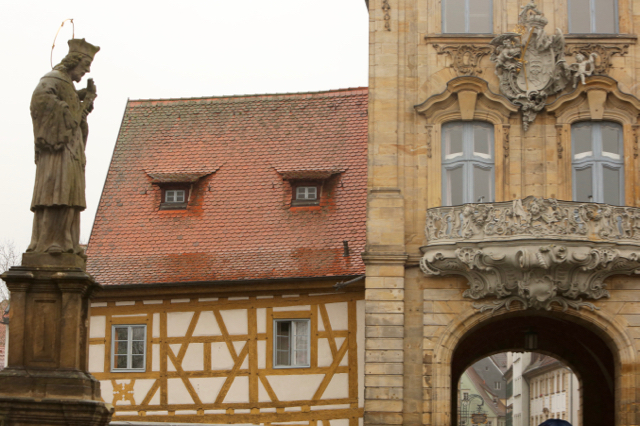 It’s clear that here Wackenroder has built upon the details of what he himself saw in Bamberg but has transfigured them in a new literary form. The emphasis, moreover, has shifted not so subtly from religious ritual to the aesthetic power wielded by art: the architecture, the paintings and above all the music – even leading to a conversion! There is romantic subjectivity too, as the artist’s tearful beloved becomes a Madonna figure leading to Christ. But let’s not be critical: didn’t Vladimir Soloviev point out that St Vladimir chose the Orthodox faith for Russia because the beauty of the ceremonies of St. Sophia impressed him so? 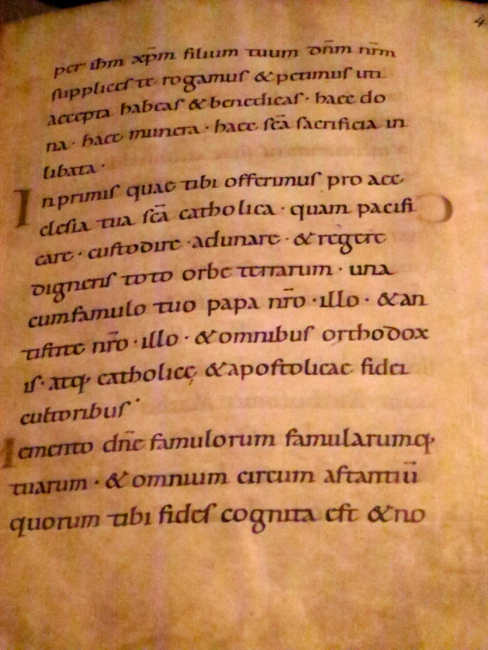 And, aside from any aesthetic experiences, the unforgettable impression made on the writer by the open and unashamed devotion of the simple Catholic faithful is the same both in this story and the original account. Other than what we can surmise from these writings, we know of no conversion in the case of Wackenroder himself. He died in 1798, aged only 24. But he has left for us a marvelous description of a Catholic liturgy, which on one special day made such an indelible impression upon him. For this Mass, so foreign to him, and that he could not “understand,” had clearly communicated to him the most profound sense of worship and of the Divine. Such is the transformative power, both in 1793 and today, of this Mass – the Mass of Tradition! 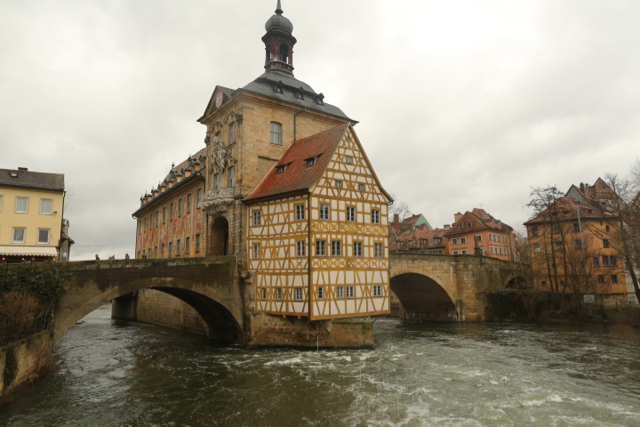 (Above and below) The Bamberg town hall, located on an island in the midst of a river and built in a medley of styles, impressed Wackenroder. 1) “English Ladies” (Englische Fräulein) a order of teaching sisters founded by Mary Ward in the 17th century but by far more widespread in Germany than in England.